It’s not officially summer yet but still, I wanted to share with you some of my favourite dishes which I like to eat when the weather is warm. 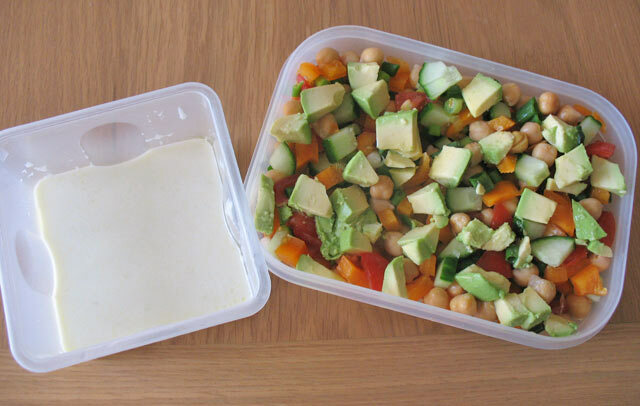 I never like to spend too much time cooking so these healthy dishes are quick to make and many of them are suitable for your lunch at work as well. Summer calls for light, refreshing meals and this is exactly what these dishes are (well, at least most of them). I love having this salad for dinner. It’s super easy to make, just boil a few eggs, chop some veggies and put everything together. It really doesn’t require much effort and eggs make it really filling due to their high protein content. 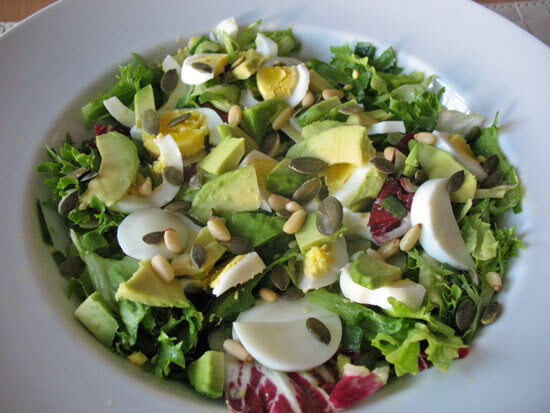 Plus, no carbs in this salad, so perfect for those who are watching their weight. This easy green lentil salad is not only great for your lunch at work but also for dinner when you are not in a mood to cook. It’s simple and nutritious. Another healthy lunch which is cold and refreshing. Chickpeas are high in protein so you will be quite full after eating this meal. The garlicky yoghurt sauce is something you shouldn’t skip as it makes this salad extra tasty. Make it even better by adding a spoon of tahini. Ok, I admit, I actually haven’t tried this recipe yet which South African Fruit company shared with me but it looks pretty amazing, so I couldn’t resist sharing it on here. 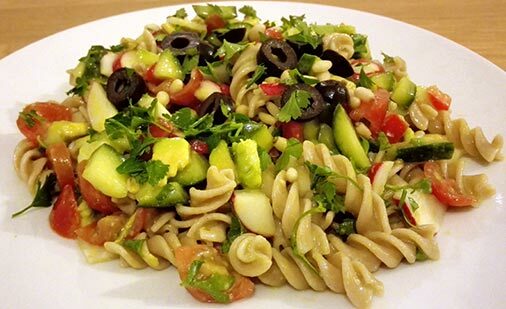 I really love this cold pasta salad as it’s so quick to make and really tasty and nutritious. 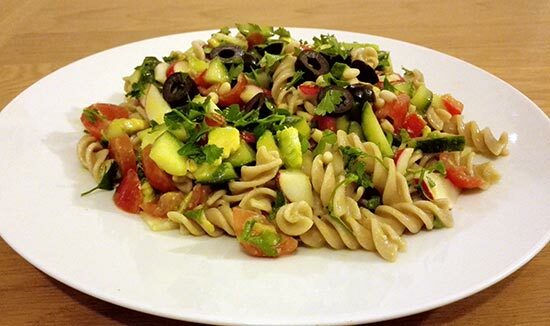 Using wholegrain spelt pasta makes this cold salad healthier as brown pasta contains more minerals than the white pasta. It’s so easy to make that you should really not buy a pasta salad from the shop ever again! 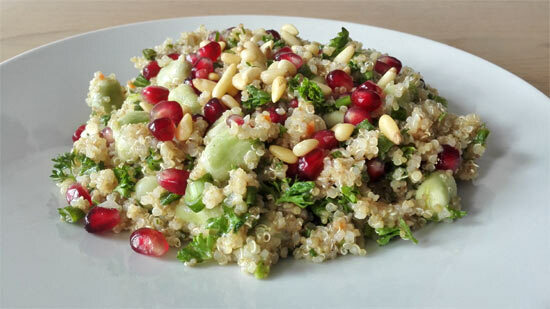 This herby quinoa salads must be one of the best salads I ever made. It’s the first time I used mint in my salad which definitely made a big difference. Adding parsley and pomegranate seeds created even more flavour, not to mention delicious pine nuts and a good amount of lemon juice. This salad is perfect for a healthy picnic! Finally, one of my favourite breakfasts which is great for people who are cutting down on carbs. You prepare this breakfast in the evening and let it soak in the fridge at night. In the morning you just take a jar with you to work or eat it at home. 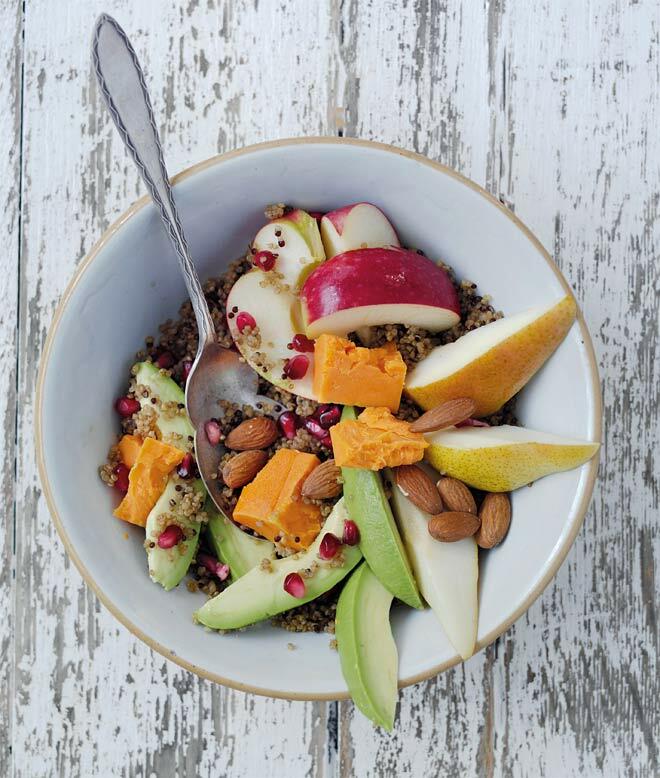 It will leave you filling really full as it’s packed with protein which comes from flaxseeds, hemp seeds and brazil nuts. Are you going to try any of these healthy recipes at home? What are your go-to meals when the weather is hot? Thanks Helen, let me know what you think of them if you do try them! Yum! 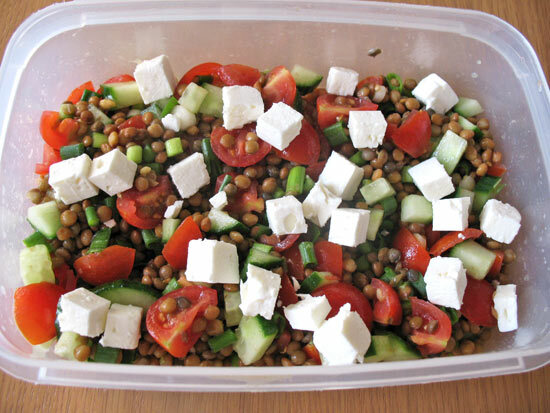 The green lentil salad is a “must try”! Yes, it’s a lovely salad and so easy to make. Great recipes and ideas on your post, can´t wait to try them. Glad to hear you like them, enjoy! This recipe’s that you listed are amazing. Can’t wait to try them out! These are all great recipes especially chickpea salad with garlicky yoghurt sauce that is my most recommended recipe and very easy to make. Chickpea salad is one of my favourites, enjoy! All of these recipes look incredible! I am so very grateful to have found you and your blog. Always, I will try to make the delicious food. I want to become healthy and it only can happen by eating healthy food. Thanks for sharing this recipe. Looks so easy to make, going to have to try it for the holidays. That is great! 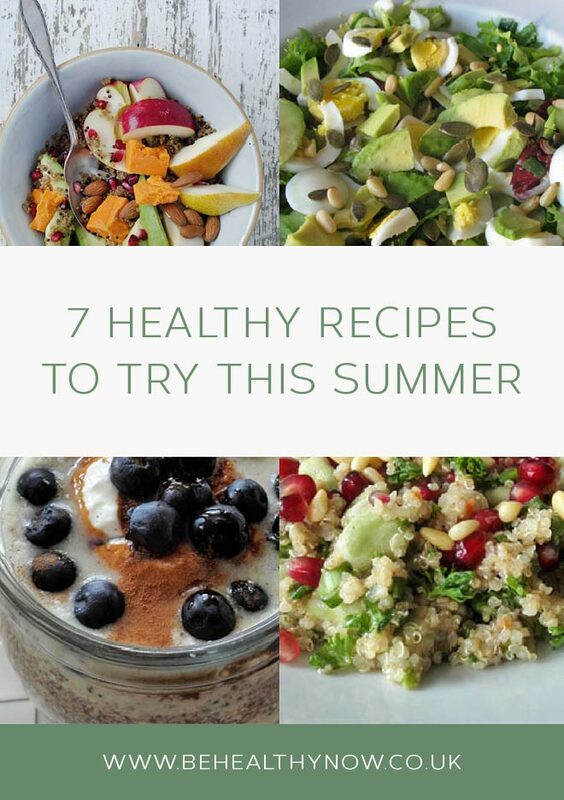 It’s helpful to know recipes that are refreshing particularly this summer. I think it’s a lovely mix, ideal for when you have your friends over! You are such a good Foodie!! Keep it up! !